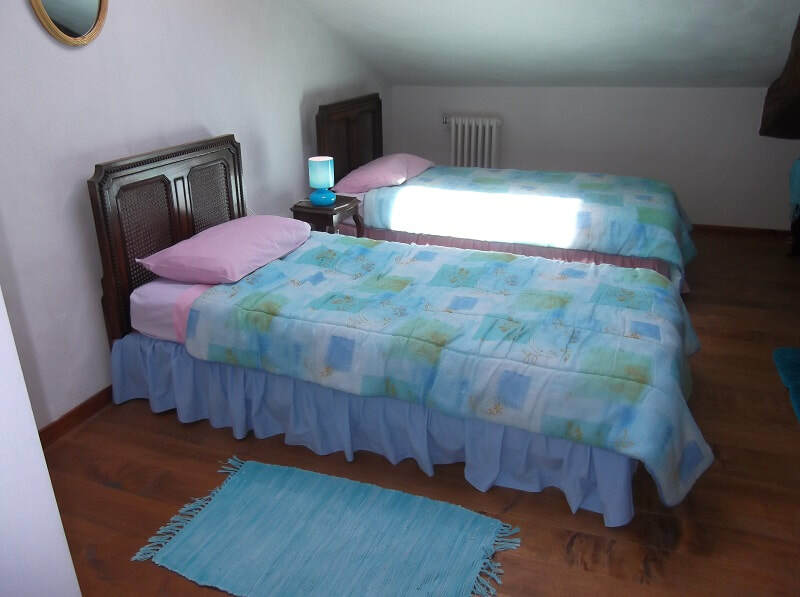 Chez Amis is one of our two gites, completely separate from the Maison de Ferme, and with their own swimming pool. They were created from a traditional barn, and as they were built we retained as many original features such as the high ceilings and timbers as possible. 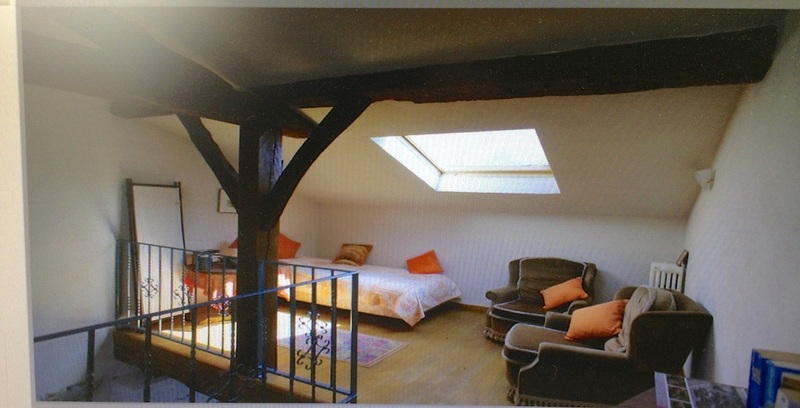 With two bedrooms (double and twin) and an additional single on the mezzanine Chez Ami comfortably accommodates up to five people in beds. 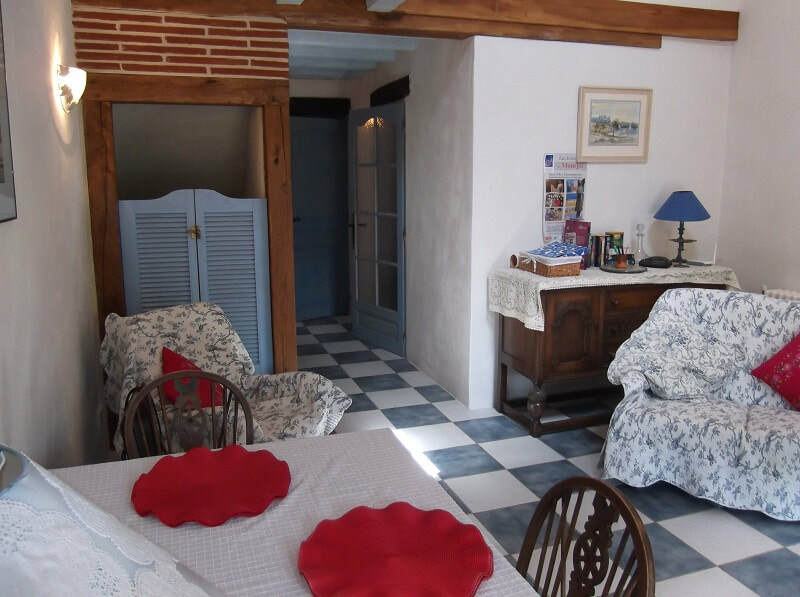 The Terrace outside is shared with the neighbouring gite, Chez Papi, and this leads on to the poolside of the 12 x 8m pool overlooking the gardens and countryside. 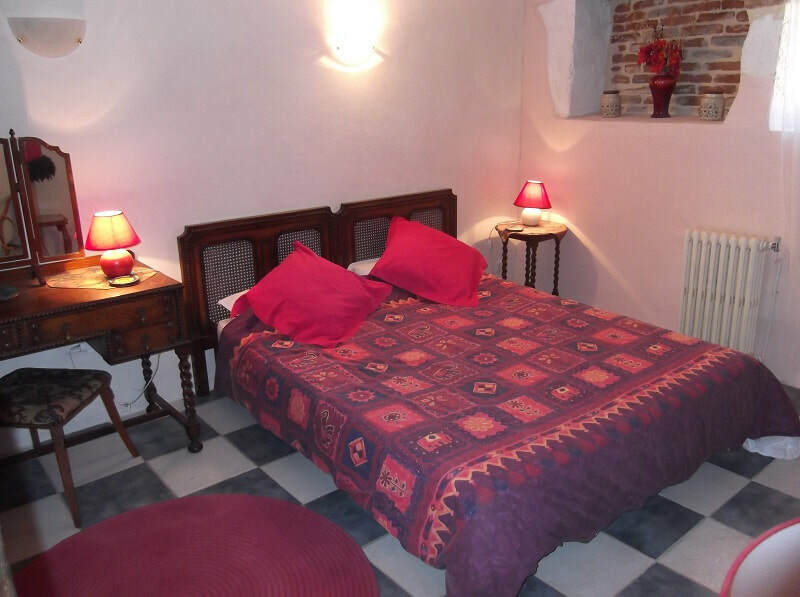 Also available together, the Vieux Mirou Gites are ideal for two families staying together for a total of 9 people. With entry from the terrace with table, chairs and parasol, the open plan living area has a kitchen corner, dining table and chairs, settee and comfortable chairs on one side. 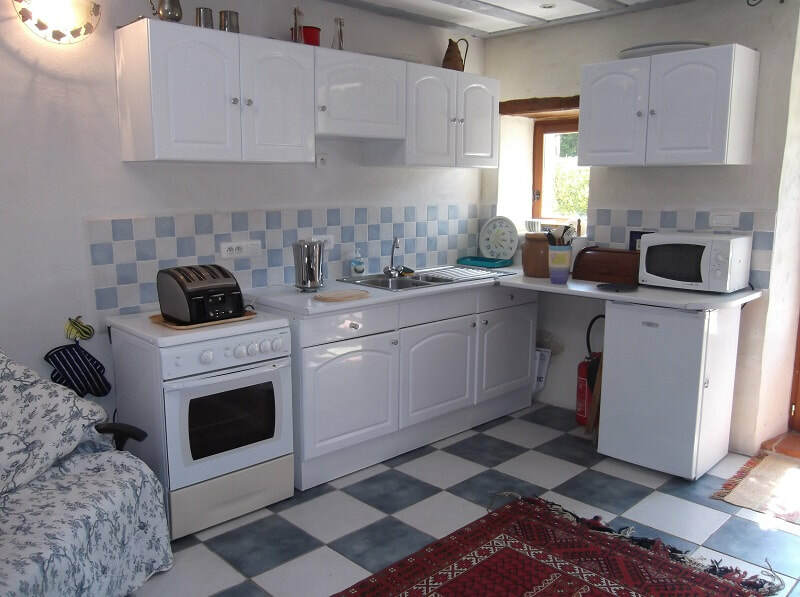 A fridge, microwave, sink and drainer, kettle, toaster and a gas cooker give ample cooking space on the other. Downstairs also contains the first bedroom and separate bathroom with shower, basin and toilet. Up the stairs there is an open mezzanine and landing, giving room for space and quiet reading. A single bed is also available here when needed. The second floor also contains the second bedroom and a bathroom again with shower, basin and toilet. The 8 by 12 metre swimming pool is for guests occupying Chez Amis, Chez Papi or Chez Nous. There is a built in barbecue on the terrace surround along with plenty of sunloungers and shades and other furniture. A selection of floating toys is also provided. Along with the accommodation in the Chez Amis gite, there are books and games all around the house. Bed linen and bathroom towels are included in the rental. Internet by WiFi is available in all parts of Vieux Mirou.